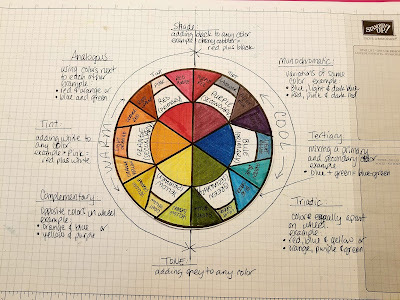 Today I am going to give you some basics on color and the color wheel. I love color and love the sense it makes when you really look at it. I especially love putting things in color order when I can. It's super-nerdy, but it's fun! 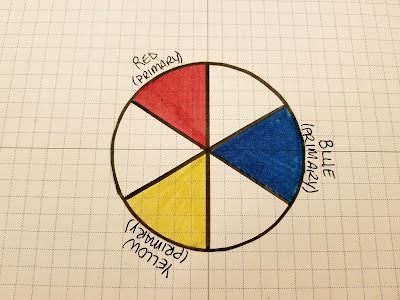 All color you see is based off of only THREE main colors: Red, Blue and Yellow. 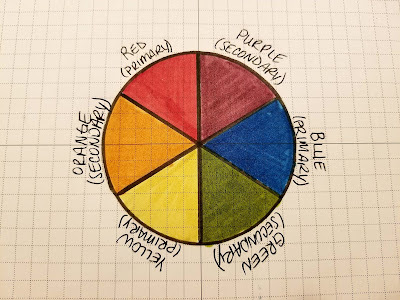 From these primary colors comes our secondary colors: Orange, Purple (Violet) and Green. When you begin to mix the primary colors with the secondary colors you get tertiary colors. You start getting colors such as Blue-Green or Red-Orange or Yellow-Green. 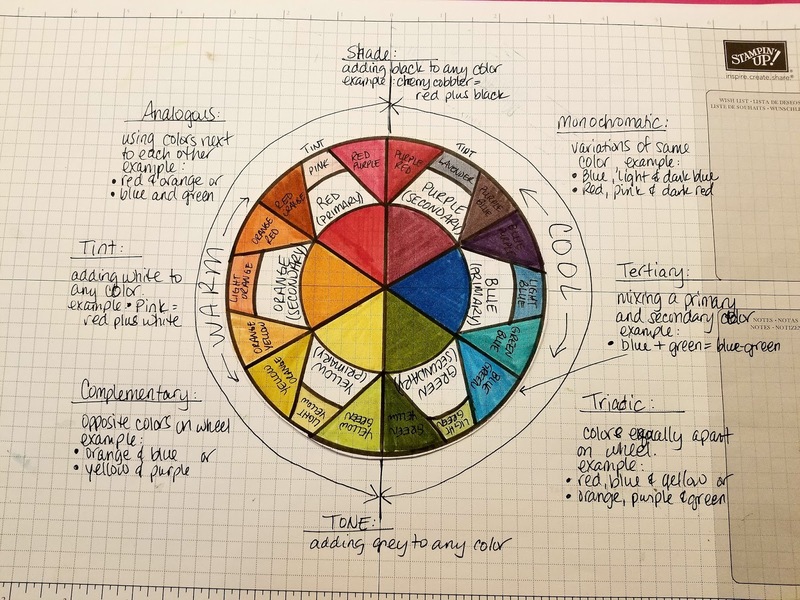 Now here is the fun part: Making a card based on the color wheel! You'll also notice on my wheel, that I have indicated Warm and Cool Colors. Red, Orange and Yellow are warm colors. Think of fire, summer and warmth. Blue, Green and Purple are cool colors. Think of winter, water and frosty things. 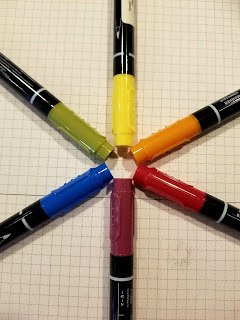 So, play with color! 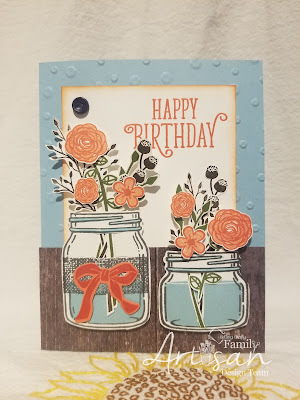 Make your own color wheel of Stampin' Up! 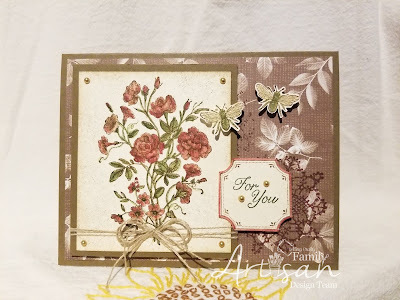 colors and don't be afraid to mix families and be bold! 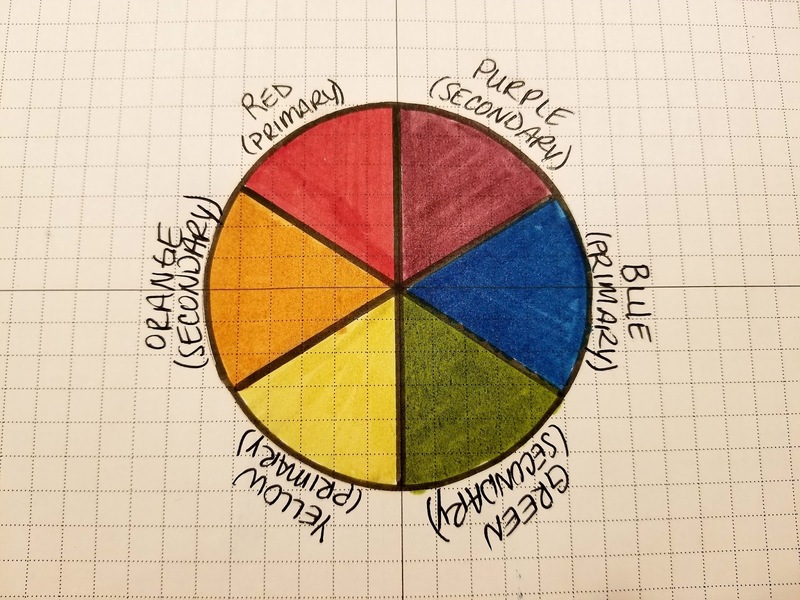 Dump out a box of crayons and put them in color-order... start with red and end with purple (put it in a circle) and LOOK at the colors you can get by mixing just a few colors! Be a kid and play with paint and HAVE FUN!